Out of the Chair and Into the Air! 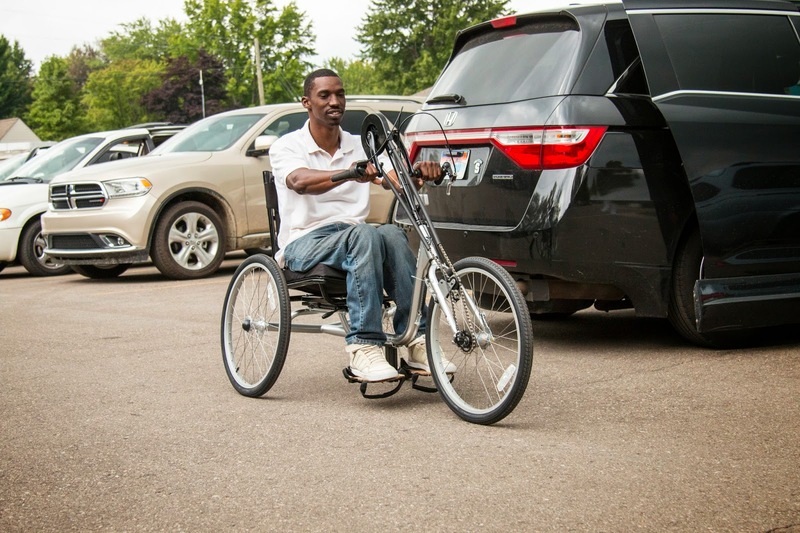 The weather was a bit overcast, but no one at the Romulus NeuroCare Campus seemed to notice as visitors and vendors came together Saturday, July 19, 2014 for Special Tree's Recreation and Mobility Expo, a resource fair for persons with spinal cord injury and other mobility needs. "We had a much greater turnout than last year," shared Jack Richert, who serves on the Expo planning committee. "There was a good vibe and a lot going on." 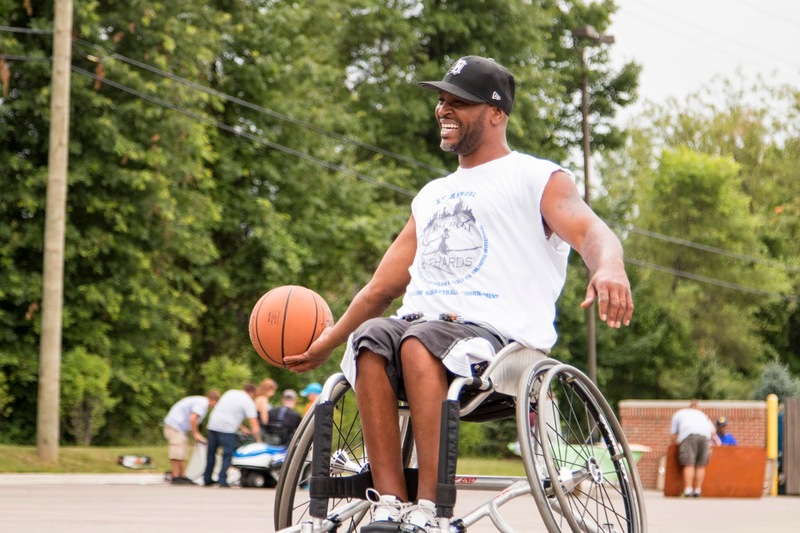 Over a dozen area mobility experts and vendors were on hand to showcase products, services, adaptive equipment, and recreational opportunities that can have a very positive impact on the quality of life for persons with spinal cord injury. From Delta Airlines to Special Tree’s own InPro Enterprises, there was something for everyone. The event is the brain child of Todd Hammons, Special Tree’s Accessibility Advisor, who knew many of the vendors personally through his own search to regain an active lifestyle after experiencing a spinal cord injury--a lifestyle which now includes operating his adaptive speedboat. “It's good to show people what's out there," said Hammons. "The weathers not great but we got a lot of people out here to see what we're doing and that’s what matters." And there was plenty to see. Industrial Bicycles, from Dearborn, showcased a bicycle that was completely steered and pedals from the handlebars, allowing people without the use of their legs to enjoy a bike ride. Delta Airlines sent representatives loaded with giveaways who offered visitors a tour of the airport and demonstration of how they can assist passengers with special needs to board planes. In this they hoped to reduce the anxiety that can sometimes accompany traveling with wheelchairs and other mobility devices. Erik Shue, of Accessible Visions, demoed a special motorized cart that enables golfers to not only move around the course without damaging the green or fairway, but also to stand upright whenever they need to hit the ball. 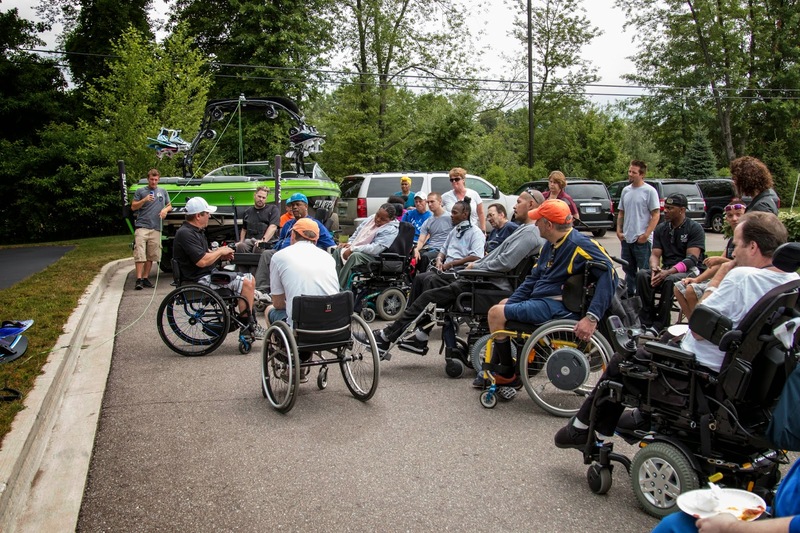 For those more interested in water recreation, Chet Kuskowski from Wright and Filippis gathered quite a crowd when he displayed wake boards and water skis designed for people without the use of their legs. Also on display was a fishing pole holster that could operate the tool with only one hand. Finally, wheelchair tennis and basketball was on display, to which many visitors decided to join in and enjoy, so much that many played well after the event ended.